The next time you find yourself pumping gas, don’t be surprised if Miles offers to keep you company. He’s not an attendant and he isn’t a friendly good Samaritan. 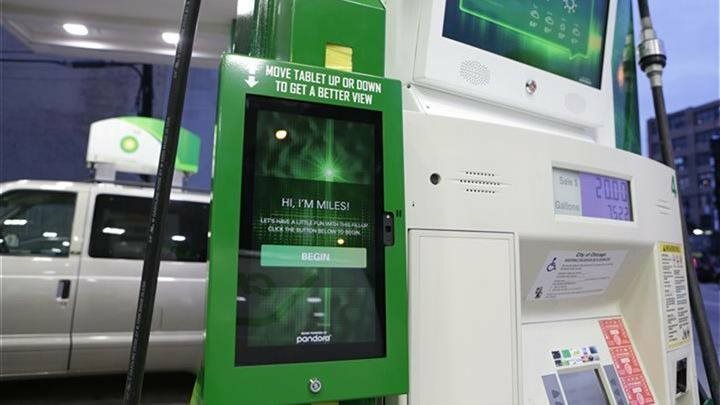 Miles is the name given to the first ever BP Personality Pump, an interactive smart pump that will first start appearing at BP stations this year. Miles uses proprietary technology allowing him to “speak” with consumers as they are filling their tanks. Miles receives responses in real-time through a touchscreen tablet allowing consumers to interact with him via an array of entertainment options. To showcase more of Miles’ capabilities, BP has teamed up with The Onion Inc.’s creative services agency, Onion Labs, to develop a series of videos capturing customers’ interactions with Miles. You can watch this video, titled Laura & Miles, to learn more about the first-ever Personality Pump. You can find more videos at www.theonion.com/special/innovation.